That is quite some move by the price of Gold. The metal is up a long way in the recession, indeed it has proved recession proof since the initial sell-off in 2008. 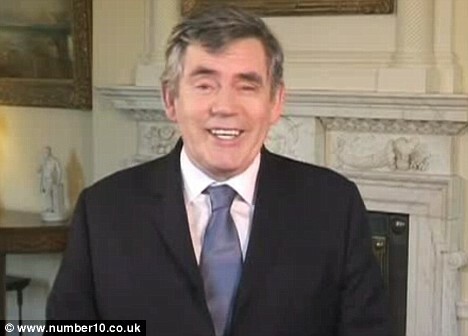 The metal was a mere $275 an ounce when Gordon Brown decided to sell off our Gold reserves. Now it is $1500. If the Bank of England had sold those reserves to market today we would be an extra £12.4 billion pounds better off. That is some amount of money in this austere times, equivalent to half the defence budget. And yet Gordon thinks he is smart enough to run the IMF? Cameron has it right. Even this article of years ago shows him ignoring warnings of the experts just as he did throughout his career. The man is a disgrace and should stay out of public life as at least a small penance on his behalf to us. I read a great conspiracy theory a while back suggesting that Broon sold off the gold deliberately to achieve some other (now forgotten by me) goal. I can't think why but then I am not into black ops stuff. All easily explained when you understand that he and his government hate this country, BE. Why would he want a new job when he's getting £65k to never turn up at the moment? I meet people like him all the time. often angry at not being taken more seriously.